love that #STatAFP is anothr grt resource 4 #afpcongress deets “@ST_Digital: How can u stay in touch w/ ST @ Congress? tmblr.co"
@afkoh hello! thanks for the follow. Will we be seeing you at #afpcongress? @paige_speaking not seeing you at #afpcongress I guess eh Paige? @sylvieintoronto What's the #afpcongress #twitterteam all about? @SylvieinToronto Hey! Yes, can't wait for #afpcongress. Thrilled to be attending for the second time. 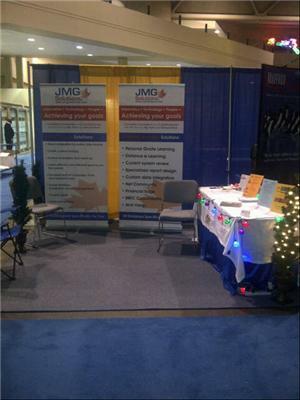 #afpcongress Will be visiting booth #301 for prospect research! Thanks for the follow @KenWyman Looking forward to meeting you at #afpcongress. Countdown till #AFPCongress: 3 days! Come by and see us at Booth 300 for a chance to WIN Personal Fundraising Pages with eCards for 1 year! Join me at #afpcongress! Brand new presentation: Mastering the "Soft Skills" of #Fundraising: What They Don't Teach You in Fundraising 101. @StephMcAulay Let me know what you find. I'd love do something on #googleanalytics too. See you next week for #afpcongress! @LucyInnovation @bernardrossmc It is #afpcongress next week, and Bernard wil be there. Clearly it's a tad chilly there at this time of year. “@GratiaCaritas: 8 days of Hanukkah. 3 days of #afpcongress #TikkunOlum (healing the world)” woot!! Headed to #afpcongress w @JessicaRawn! @joshstuart You going to be at #afpcongress ? @michellemccann soooo true! I'll be tweeting up a storm from #afpcongress it'll be just like you're in the BIG T dot, not the lil'one! On the eve of #afpcongress & realized I didn't sign up for orientation breakfast Mon. AM. Think I could sneak in? Looking forward to mtg IRL,f2f @ #afpcongress: @lpdiversa @UinvitedU @KenWyman @frasergreen @GratiaCaritas @LeahEustace & many more! A few others, hoping 2 meet the next 3 days IRL, f2f @ #afpcongress: @RSFlood, @chrisboyette, @Major_gifts, so many people, so little time!